Blowout Sale! 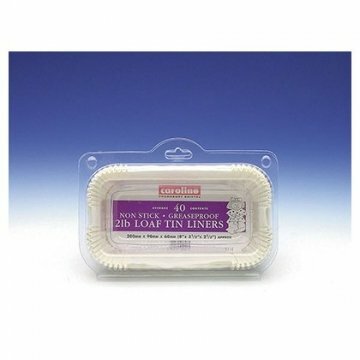 Save 51% on the 2lb Loaf Tin Liner - Pack of 40 - 20cm by Caroline at Mystic Oaks. SKU: 56577873437. MPN: CAROL1714. Hurry! Limited time offer. Offer valid only while supplies last. Ideal for baking bread and fruit cakes, this pack of forty greaseproof and heat proof loaf tin liners are perfect to get your baking underway.